Quiet and tranquillity guaranteed in this all mod cons house located on a wooded property of one hectare. Spacious and bright, 110 sq.mt., single storey + one bedroom on the first floor. Tastefully furnished. Double living room with bay windows, 2 bedrooms with double-doors overlooking a 80sq.mt. partially covered terrace surrounding the house (south/south-west). Shaded lawn thanks to a plane tree, a linden tree and olive trees where aperitifs and farniente will be popular. Separate functional kitchen with dishwasher, induction hob, electric oven under extractor, microwave. Outdoor activities, pleasure to discover the traditional villages of Provence. The cultural activities (Festival d'Avignon, Chorégies d'Orange, Festival d'Aix or the Roque d'Anthéron, Choralies de Vaison), the shows and festivals in each village are memorable and festive. There are many gourmet discoveries (the wine road, the olive and the truffle roads and let's not forget the melon and the almond tree roads). Environment: The Isle-sur-la-Sorgue lies in the heart of the Comtat; it has a long tradition of being a stage city and a getaway destination. It has a great history and location (Madame de Sevigne called it divine). Its village of antique dealers and second hand goods dealers (there were more than 500 at the international fair of Easter and on the 15th of August) are famous abroad. The shaded banks of the Sorgue animated by the ducks and the trout’s invite you to roam. Fontaine de Vaucluse is an enchanting place. The prettiest river of the department springs at the end of a deep and green gorge. It is a natural site that moved many writers and poets: Pétrarque, Boccace, Chateaubriand, Frédéric Mistrat, René Char... And where many craftsmen will make you discover their know-how (the hand-made paper in the mill, traditional craftwork from the 15th century). Le Thor, sunny village but fresh thanks to the many branches of the Sorgue, paradise for fishers and canoeing. Pernes and so many others. Activities: Mont Ventoux (1998 m) invites you in the summer to climb up the slopes on a mountain bike (ski lift), cross many hikes and bike paths. Go-karting, horse and pony riding, tree climbing and zipline for kids, park with giants inflatable structures, trampoline (kids) are also available. In winter time. Skiing: 2 ski lifts, 6 red and black slopes, marked out snowshoe itinerary, vast area for sledges. Alpine skiing and Nordic skiing, snowboard, children garden with treadmill. Accommodation, restaurants and material rentals in the resorts. Luberon Regional Park. The variety and the richness of the nature in Luberon endow the region with a well worth seeing heritage. From April to October, 27 professionals will make you discover the Luberon. Bike: 33 itineraries allow you to discover the whole territory. Medieval villages, steep reliefs (Dentelles de Montmirail etc. ), vineyards (Châteauneuf-du-Pape), the Albion plateau (lavender cultivation, plateau of Sault) and others. Equipment: entrance/summer living room with settee/bamboo, armchair. Laid out kitchen: functional, double sink/tiled worktop, dishwasher, refrigerator/freezer, electric oven and a Miele induction hob (with instructions) , extractor hood, microwave, turbo blender, electric potato masher, electric kettle, scale, cookware, table with marble top, tian, blender, coffee maker etc. Living room (dining side): table + 6 chairs, armchair, Breton buffet (19th century), mural dresser, plenty of crockery, table, writing desk, dessert table, high chair and travel cot. Living area: couch seats 3 people, 4 armchairs, coffee table on a eastern rug, corner cupboard with television, Internet connection with Live box, fireplace. 3 bedrooms with double beds, small cupboards and side tables, wardrobes and walk-in cupboards, including 1 upstairs bedroom. Shower room: Wash basin + large mirror, shower cubicle with enamel tiles, bidet, electric heated towel rail, scale. Laundry room: sink/cupboard, washing machine, vacuum cleaner, ironing board and iron. Medieval villages, steep reliefs (Dentelles de Montmirail etc. ), vineyards (Châteauneuf-du-Pape), the Albion plateau (lavender cultivation, plateau of Sault), and others. Equipment: Entrance/summer living room: with settee/bamboo, armchair. Laid out kitchen: functional, double sink/tiled worktop, dishwasher, refrigerator/freezer, electric oven, and a Miele induction hob (with instructions) , extractor hood, microwave, turbo blender, electric potato masher, electric kettle, scale, cookware, table with marble top, tian, blender, coffee maker etc. Very bright and tiled, it is equipped with a basin, a bidet and a separate shower in a semi-open cubicle entirely tiled with glass tiles from Briard. Radiator and electric towel rail. Mirror cabinet and table as well as two stools and a towel rail. Two baskets under the wash basin and a scale available. Bathroom linen is not supplied. But rented on request. Garden table (6 to 8 people) + 6 garden chairs, barbecue. 3 sun loungers. Television Very useful fireplace (small firewood stock). Settee in the living room where a child can sleep (up to 1m20 approximately). High chair. Laundry room with washing machine and sink, iron table and iron, cleaning products, dryer and stock of firewood as well as access to the terrace. Cleaning is not included in the rental price. Rate: from 50 to 70 € by stay, depending on the inventory upon departure. Close to the Camargue, the Ardèche and the Alpes-de-Haute-Provence, 2 hours away from the French Riviera, in the land of lavender and olive trees, the Isle-sur-la-Sorgue and the surrounding villages go along the Sorgue that brings freshness and fertility. On the hills of Isle-sur-la-Sorgue, St-Antoine district. In the heart of Provence, 20 km from Avignon, 10 km away from Carpentras, 15 km from Les Baux-de-Provence and Saint-Remy de Provence, 25 km away from Vaison-la-Romaine, 80 km away from Aix-en-Provence, close to the sea and the Camargue, Isle-sur-la-Sorgue is the hub of many discoveries (Fontaine du Vaucluse, the Gorges de la Nesque etc.). It is close to an equestrian centre and the Sorgue River where trout fishing is very active as well as canoeing, mountain bike paths and hikes that mark out the hill. Golf: the variety of the golf courses makes of Provence a first choice destination for the golf-trotters looking for renewed emotions. The Golf Pass Provence opens you the doors of 15 local courses in 5 different counties: Vaucluse, Alpes de Haute Provence, Hautes-Alpes, Bouches du Rhône, and Var. This Golf Pass Provence of 5 or 3 green-fees offers the opportunity to amateurs and lovers to combine sport activity and art of living all year long. 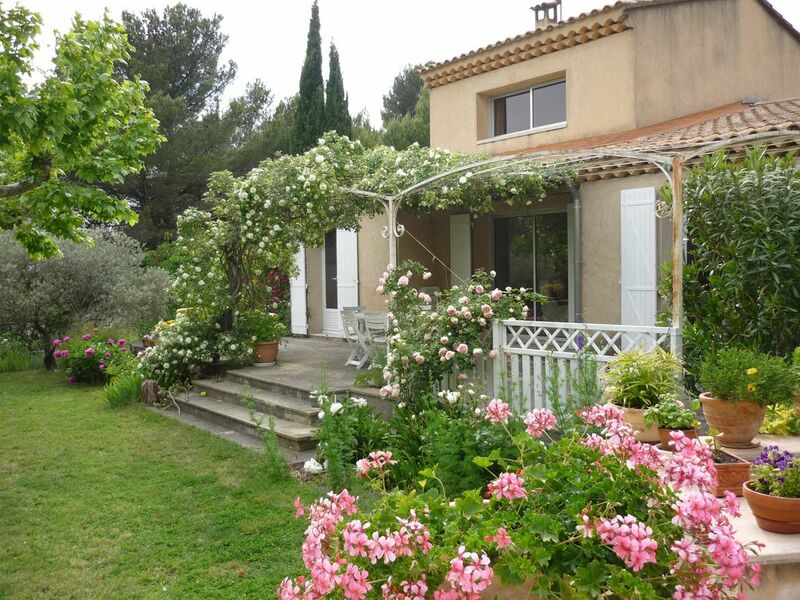 Provence Country Club, 1141, route de Fontaine de Vaucluse, in Saumane will make you benefit from an idyllic setting, 5 minutes from Icnocenpia and enjoy the courses. In winter: 2 ski lifts, 6 red and black slopes, 1 marked out snowshoe itinerary. Vast unobstructed area for sledges. Summer: ski lift for mountain bikes to climb up the slopes of the Ventoux. In winter: alpine skiing and Nordic skiing, snowboard, sledge, children garden with treadmill, snowshoe course. Accommodations, restaurants, snacks, material shops and rentals on-site. Une remise de 10% est proposée pour une réservation de 2 semaines consécutives. Sont compris dans les tarifs : taxes de séjour, ménage (arrivée et départ), chauffage, eau, électricité, linges fournis (pour le détail, voir précédemment). Suite à la réservation par mail ou téléphone, celle-ci sera effective après réception de votre lettre de confirmation précisant : le nom du responsable de cette location, les dates d'arrivée et de départ, le nombre de personnes .